How to differentiate your small business. >> How to differentiate your small business. These technicians make the fatal assumption that because they understand the technical work of a business, they understand the business itself. And that’s just not true.That’s the crux of The E Myth, by Michael Gerber. If you have a business, or are planning to go into business of any kind, buy that book and refer to it constantly. Architects are a good example. Just because you can design great buildings doesn’t mean you can run a great architecture firm. Talent, by itself, isn’t a differentiator. You see it in professional spin-offs all the time… Two or three key architects in an established firm leave with a few clients, just knowing they can do it better on their own. But they start a company that’s cut from the exact same cloth as the last place they worked. They use the same accounting software, the same processes, the same fee structure, and even the same spiel in their pitches. The only thing that’s changed is the location and the letterhead. So why are they surprised when they run into the same challenges and problems that their former firm experienced? All they have is a me-too firm based on a fundamentally flawed model of other me-too firms. 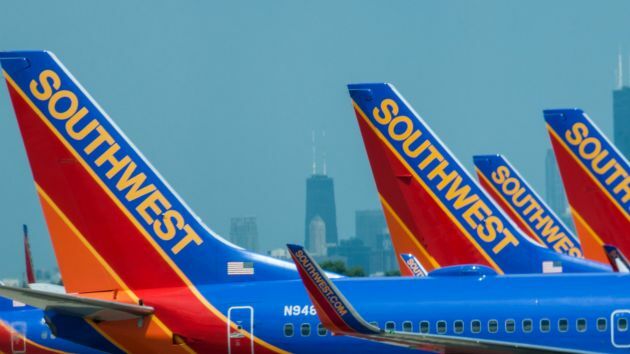 • Herb Kelleher started Southwest airlines with an idea on a napkin… discard the airline industry’s old hub-and-spoke model and discount fares dramatically. • Ray Kroc threw out the conventions of the restaurant business and introduced assembly line production at McDonalds. • Jeff Bezos, founder of Amazon.com, started selling books out of his garage, proved all the naysayers wrong and built the world’s largest on-line retailer. Those companies were built on a proprietary system of doing business that differentiated them from the competition. 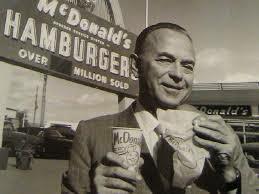 For Ray Kroc it wasn’t the hamburgers, it was how the hamburgers were made. It’s what Gerber refers to as a business format franchise. If you’re Joe The Plumber and you want to build a plumbing empire, you have to do a lot more than just fix pipes. You also have to wear the strategist’s hat, the manager’s hat and the entrepreneur’s hat. If that’s not possible, then hire someone to do that thinking and planning with you. Not for you. In 1985 Scott Campbell graduated from Veterinary School and bought a small animal clinic in Portland, Oregon. But instead of spending all his time treating fleas and ticks, he started working on the business. He devised a long-term strategy. He built new business syste ms and installed computers. He devised new policies. He hired BNResearch to track customer satisfaction. 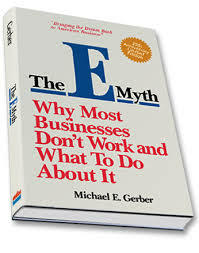 In order to provide a better level of care for pets, he did everything Gerber recommends in The E Myth. Scott Campbell didn’t work in the business, he worked on it. He did market research, he implemented processes and paid attention to his branding. He seldom saw pets after the first year or so. Campbell’s company, Medical Management Inc, (MMI), took off. 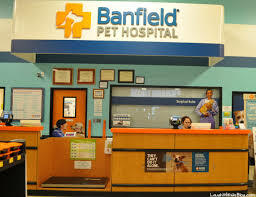 When it sold to Mars, Inc. in 2008 there were over 500 Banfield Pet Hospitals worldwide, each doing approximately $2.5 million a year. I’m quite sure that makes Scott Cambell the wealthiest veterinarian in history. The point is, if you want your business to pay off, do something different! Being good isn’t enough. You also have to be good in different ways. You can’t differentiate yourself if there’s nothing different about the way you’re doing business. Thirty years ago you could differentiate your business simply by doing better advertising than the competition. But that’s not enough anymore. You also need something genuinely, substantially better to put in your ads. It’s tough to be different, especially for a service business. But that’s actually good news! If it were easy, all your competitors would be unique and exciting, and you wouldn’t stand a chance. The fact is, you don’t have to do everything well in order to succeed. You just need to do some things differently and some things well. As Gerber puts it, you need to work ON the business as much as you work IN the business. Looking for more insight on small business branding and marketing? Try this post. sory to write to you like this, but i could not find the contact form. I really like your blog and i was wondering if you would maybe like a link exchange with my website http://www.sayeconomy.com . My site has many good articles and gets many new visitors each day. I think we would both benefit out of this exchange alot. Microsoft will not get a lot of benefit out of people who already hate Vista to go back now. It’s too little too late. People are hoping they come out with a completely new software. And even then, people will wait to hear what happens. They have to do a lot more than just be different with Mojave. The lesson for them is to listen. I am sure they got feed back a long time before this crisis. Vista is what makes most people say, next time I am getting an Apple. Great article! I couldn’t agree with you more. I’ll be the first to admit, my business “brand” is a work in progress, but it seems that more and more I am finding my success in the network marketing/home-based business arena to be almost solely based on the simple practice of looking at what the “masses” in my industry are doing and then going out there and doing the EXACT OPPOSITE. In doing so the “attraction factor” has been working wonders for me. Great article!!! I am an architect and I will begin to work on my business immediately. I am beginning to think about my business in a different light. Got an idea that will set me apart from other architects. thanks.